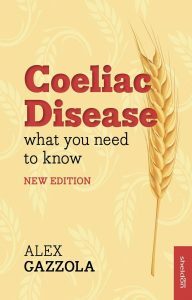 I needed answers in order to complete an update of my book on coeliac disease, the earlier print runs of which had almost sold out, and which my publishers had decided could do with a fresh new look. Hoping and assuming you’ll forgive the self-promotion, am happy to say that Coeliac Disease: What you need to know, the new edition, is published today, and to complement the extensively rewritten sections on labelling laws, I’ve added a lot of material on the food issues which tend to confuse those struggling to get to grips with the condition immediately following diagnosis – barley malt derivatives, GF and non-GF oats, glucose syrup, Codex wheat starch, spelt, and such like. 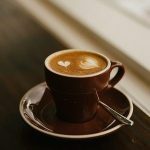 Advice on eating out – and the new laws as they apply to food service – has also been added. FODMAPs – which barely got a mention first time around – are given more emphasis in the 2015 issue, as they may be involved in persistent symptoms among GFD-compliant patients. There’s also more on other food hypersensitivities, other gut disorders – and an updated section on the innovative research and future therapies which may lie ahead – vaccines, enzymes, drugs and the sometimes bizarre new developments in free from food.